Couponing Momma Giveaways & Reviews: Get Ready for Summer: $5 Bonus for New Members! Get Ready for Summer: $5 Bonus for New Members! 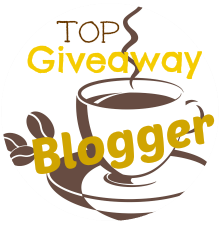 I've talked about Swagbucks for awhile now, so you may know how great it is to get free gift cards and pay for gifts, big purchases and anything else with them instead of paying out of pocket. Well now I have exciting news and a great opportunity for all of you to earn bonus SB -- enough to get a free $5 gift card! Any of my readers who signs up for Swagbucks.com through my link here between now and June 30th is eligible to get a 500 SB bonus! Think of it as a free gift card just for signing up through me. In order to get the bonus automatically*, you must also earn 1500 SB by July 14th. Note that since this is an exclusive offer, you must sign up through this link and earn 1500 SB in order to get your 500 SB bonus. If you sign up elsewhere, or only do one of the two steps, the bonus unfortunately will not be available to you. So how do you get that 500 SB bonus? Simple: you can earn SB from any of the earning activities found on the homepage or top bar of Swagbucks.com (Shop, Search, Watch, Play, Answer, Discover, Daily Crave, NOSO & Daily Poll). 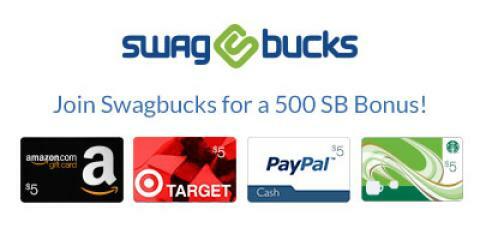 I'll be posting periodically ways to help you earn more Swag Bucks so you can hit that 1500 SB mark before July 14th. In the meantime, if you haven't started earning with Swagbucks yet, now is a great time to sign up and check out all the different ways to earn Bucks -- all so you can get a bunch of free gift cards. * Please note that it may take up to 14 business days to credit your account once you have earned 1500 SB.